You might want to buy one or two for yourself, too. 1. A tote bag that keeps track of your daily schedule. Get it from Society6 for $22. 2. A kit for making your own wine at home (even if you don't live on a vineyard). Get it from Uncommon Goods for $60 (available four varieties of wine). 3. 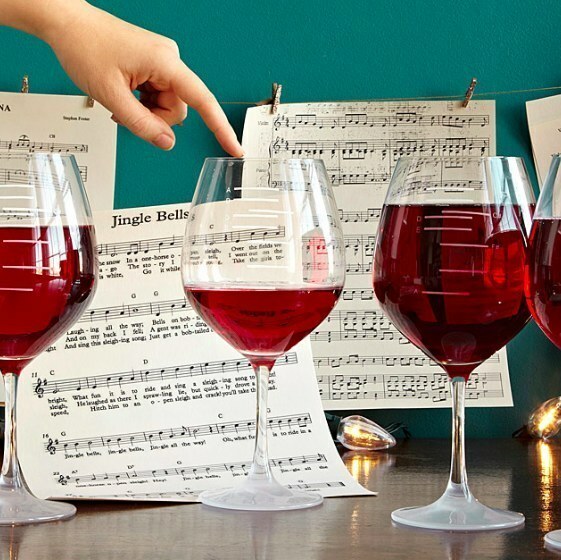 Glasses that subtly measure the "appropriate" amount of wine and some you can play like instruments while you drink. Get the measuring glasses for $20 from Amazon and the musical glasses for $65 from Uncommon Goods. 4. A single-bottle wine rack that's shaped like a T. Rex. Basically the best wine rack ever made. Also, its vision is based on movement. Get it from The Back Pack Shoppe on Etsy for $40. 5. 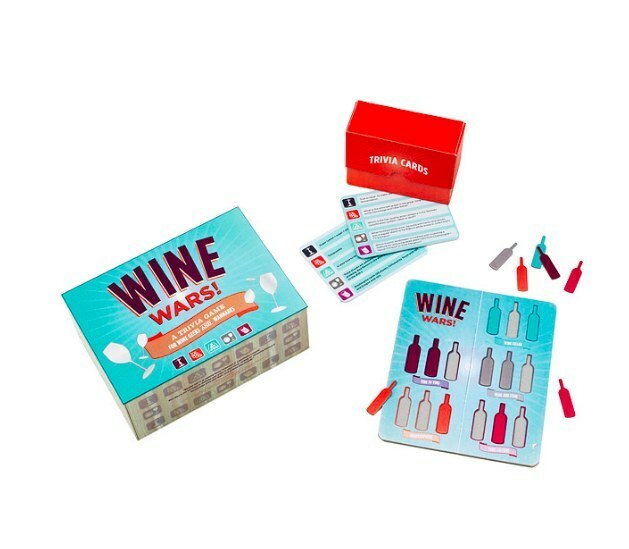 A wine-themed Monopoly board game and a set of wine trivia cards. When you win, you can take a smug victory sip. 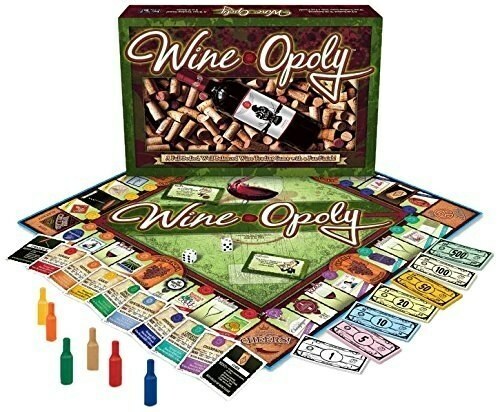 Get Wine-Opoly from Amazon for $15.29 and Wine Wars from Uncommon Goods for $20. 6. This marble and pewter corkscrew that'll look classy AF on any counter. You can also get it monogrammed for $10 more, if you want to be ~really~ classy. Get it from Wine Enthusiast for $99.95. 7. A calendar to celebrate how much you live wine year-round. Get it from Classy Cards Creative on Etsy for $20. 8. 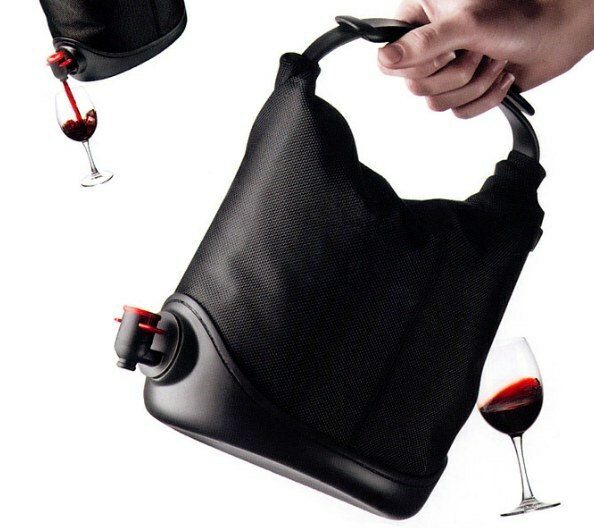 A sports bra and a bag to (secretly) hold your wine. Yes, you can take your favorite beverage with you just about anywhere. Get the bra from Amazon $29.99 and the bag from Uncommon Goods for $39.95. 9. A wood caddy that makes bathtime drinking easy. Includes notches for a wine glass and plenty of space for the rest of the bottle and a good book. Get it from Beta Design 3D on Etsy for $90. 10. An informative book to further your wine education. The more you know, the more you can appreciate the complexity of the wine you drink. Don't worry, you can still buy from the bottom shelf at the grocery store. Get it from Amazon for $21.99 spiral-bound or $15 paperback. 11. A carafe that quickly chills your wine. Just chill the stainless steel rod in this Rabbit carafe and it'll chill your wine fast and keep it cool for more than an hour without having to stick it back in the fridge. 12. A set of coasters that say just how important wine is. With these, guests will know just how important wine is in your household. 13. A portable outdoor table that perfectly holds your wine items. There's a stake on the bottom so you can stick it wherever you need it. Holds one regular-sized bottle and two glasses. Get it from Faircraft USA on Etsy starting at $34. 14. A personalized wine set that comes in a pretty box. The box is customizable and the set includes a corkscrew, a bottle stopper, a wine poorer, and drip ring. Get it from Teal's Prairie on Etsy for $22.79. 15. A flexible flask that holds an entire bottle of wine. Perfect for boat trips, beach trips or anywhere you need a pocket bottle. Get it for $12 from Urban Outfitters. 16. A membership to a wine club. What better gift for someone who loves wine than...you know...wine? Gold Medal Wine Club is pretty well reviewed and decently priced. Just choose what kind of shipment you'd like to send, and how many of them, and you're all set. Get a subscription starting at $37 per shipment. 17. A glass bottle cutting machine to reuse those empties. This nifty machine can slice through empty wine or beer bottles to create all kinds of recycled receptacles. 18. And a life preserver for your life preserver. Get it for $9 from Amazon.